These guys are really great. Very professional. Know exactly what to do on a BMW. There's a reason these guys have tons of good feedback. L&M Foreign Cars were the very first VW specialists in Brooklyn for VW beetles and VW Vanagons when we opened our doors in 1969. . Fast forward to 40 years later and you’ll find the same people in the same location still working hard on both new and old VW’s. For the older cars we carry all the experience and knowledge necessary to service, repair and restore your old vanagon or beetle, and for the newer Vw’s carries we carry all the latest and greatest in computers and diagnostics equipment. 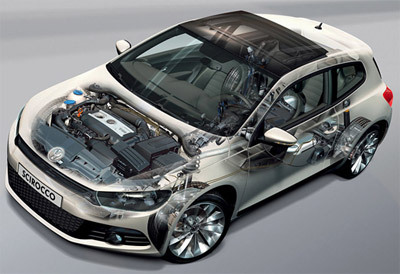 We also carry all expertise, tools, knowledge and certifications necessary to work on the newest VW models. Whether it be replacing a VW timing belt or finding a secondary air leak, we are fully equipped to handle the problem. Volkswagens are know for their reliability. A crucial step in maintaining this reliability are condition based services. Simply checking your oil, antifreeze, brake fluid , power steering fluid, battery and belts will help keep your Volkswagen in safe driveable condition; and will aid in keeping your service, maintenance and repair costs to a minimum. 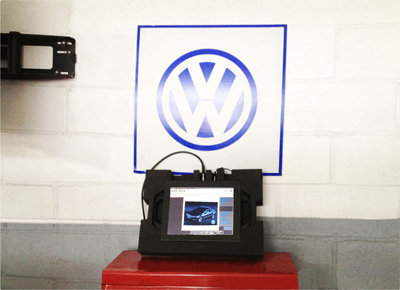 L&M Foreign Cars is equipped with state of the art specialized computers and software for all the latest updates to program, reprogram and update all your VW's onboard computer systems, an essential component of your VW condition based services. We Use all OEM German parts in all repairs. Delivery from our OEM parts suppliers arrive 7 times a day , insuring your repair of VW vehicle will be speedy, correct and reliable. Using original equipment during the repair of your VW is a crucial step towards keeping your Volkswagen in optimal working order and insuring it will continue to operate reliably when your odometer ticks past 200k or 300k. Using correct oil meaning choosing the correct weight and quality. Using it with an original German oil filter is especially effective in keeping your engine in good working order.